Next months theme is “Oh So Regal” and it is described as featuring “items themed around our favorite royals… Disney, Shakespeare, Red Queen and more”! Here is the final cover art of the book! 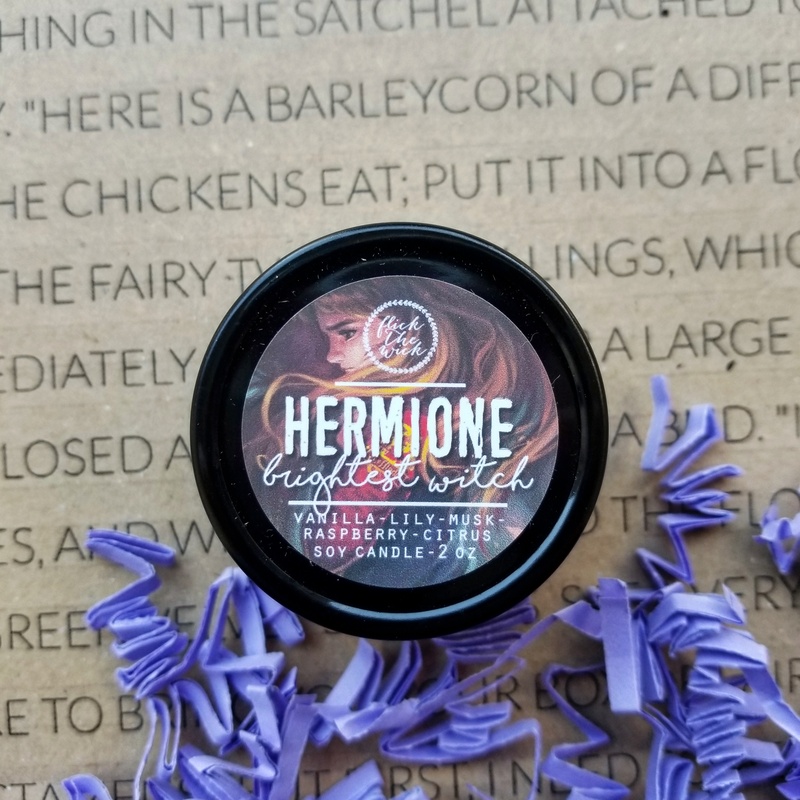 I love candles and we got one that smells so great and it’s based off of one of my absolute favorite lady that slays, Hermione! This soy candle comes from Flick the Wick and is scented with vanilla, lily, musk, raspberry and citrus and it smells so good. Be sure to check out Flick the Wick’s products here. I think I was the most excited for this product! We received a book sleeve to help protect our books while you are traveling and I’ve been wanting one forever. The theme goes perfectly with the box featuring beautiful swords that can slay perfectly. 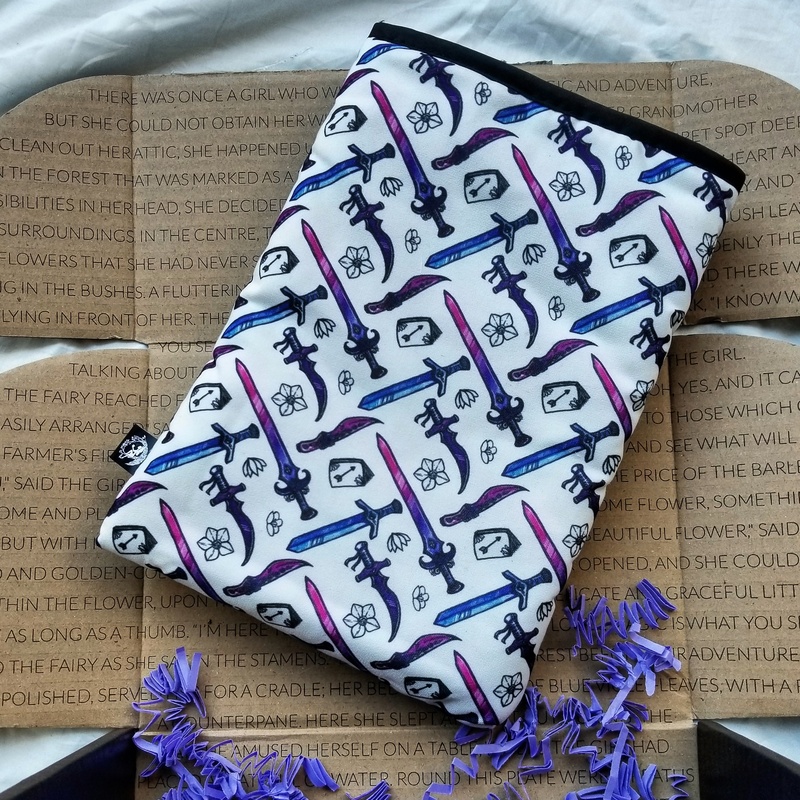 This book sleeve design was created by Aunjuli exclusively for Fairy Loot, check out their other products here! This Blue’s Brew loose-leaf tea that we received from Bookish Teas smells so good and I can’t wait to try it. 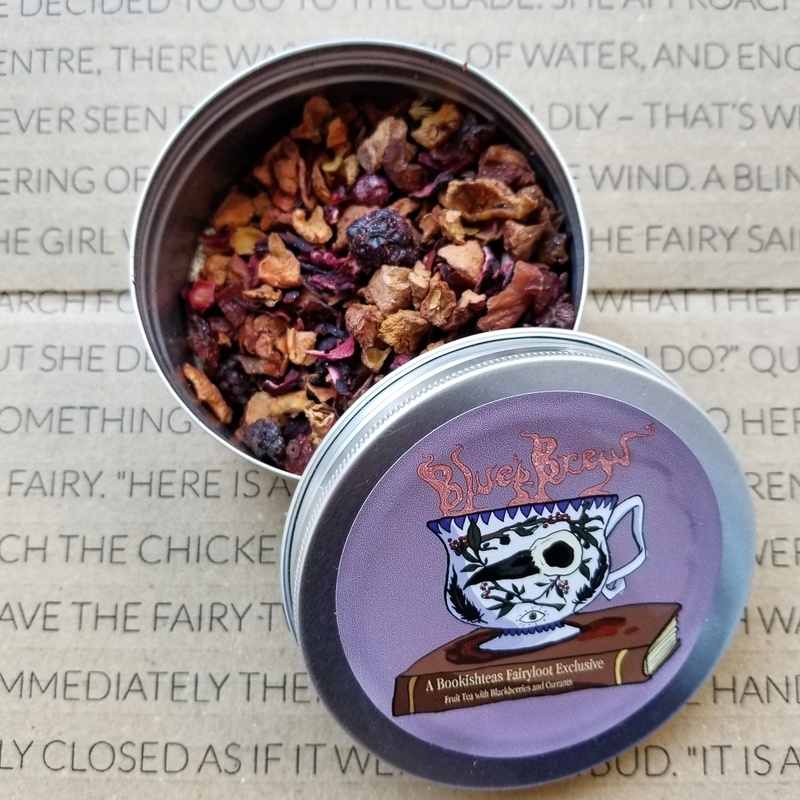 Blue’s Brew is a fruit tea that features the flavors of black and red currants, blackberries, apples, hibiscus, and rosehip peels. Check out other Bookish tea items here. We love Brittney here at Thrice Read, she is one of the great people of the bookish community that we have been lucky enough to meet in person! She created this great Ember in the Ashes sticker. Check out her company, Reverie and Ink here. 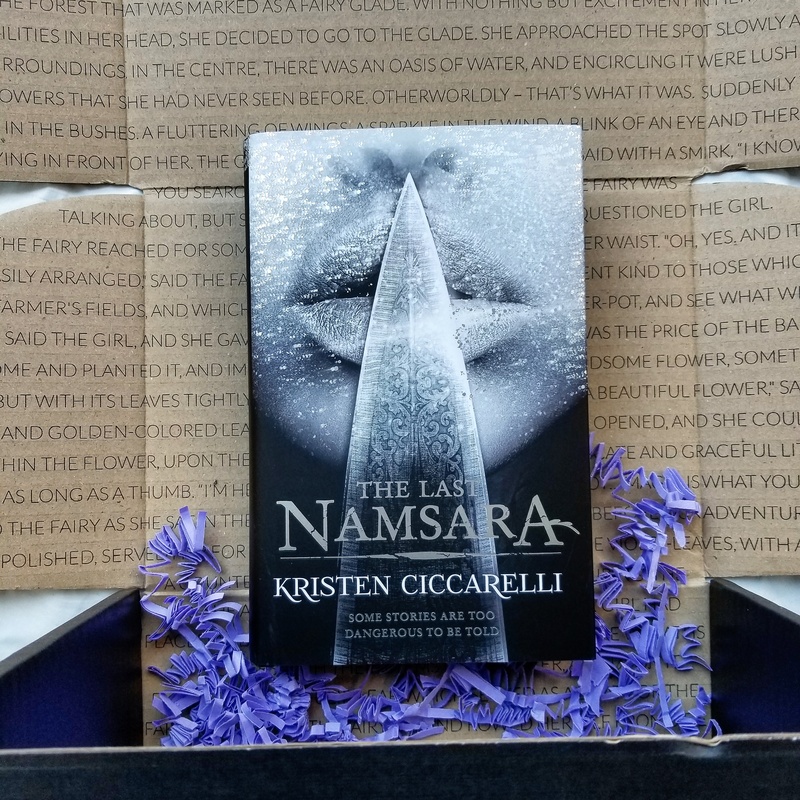 The rest of the items here are some other goodies we received in this box, a The Last of the Namsara post cards. 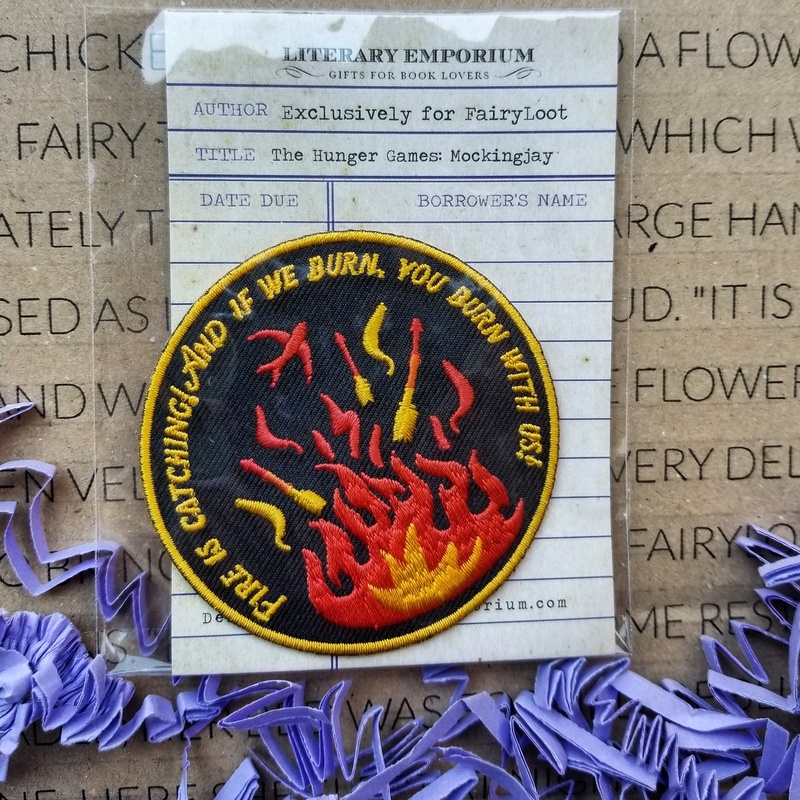 This Hunger Games patch was created by Literary Emporium and I love it! I definitely need to get something to start putting patches on, either a book bag or a jean jacket. We will see how that goes. 😉 Check out Literary Emporium’s products here. This was such an awesome box! 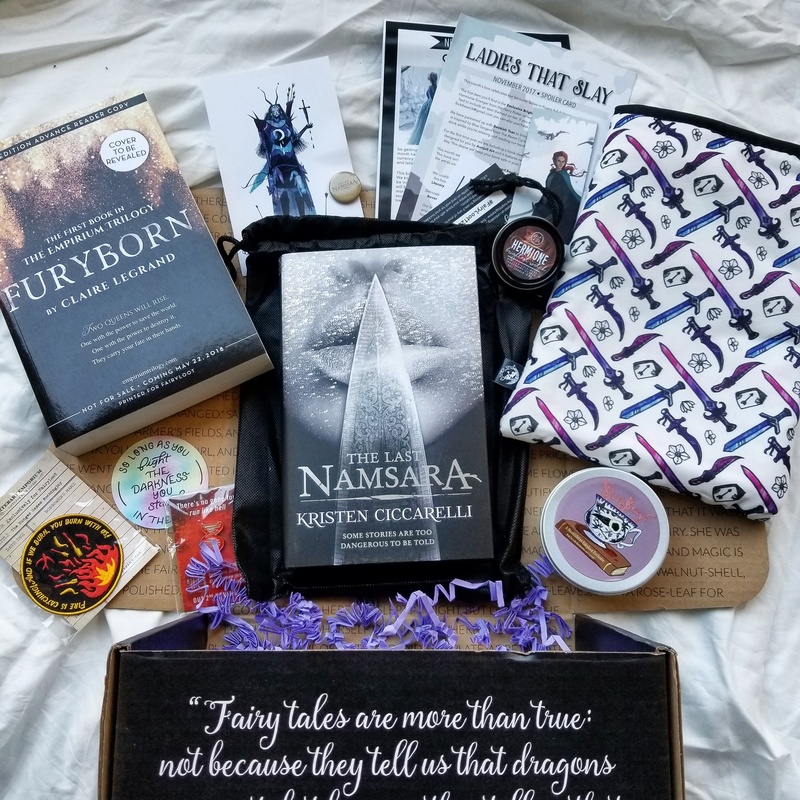 Love the theme of this box! 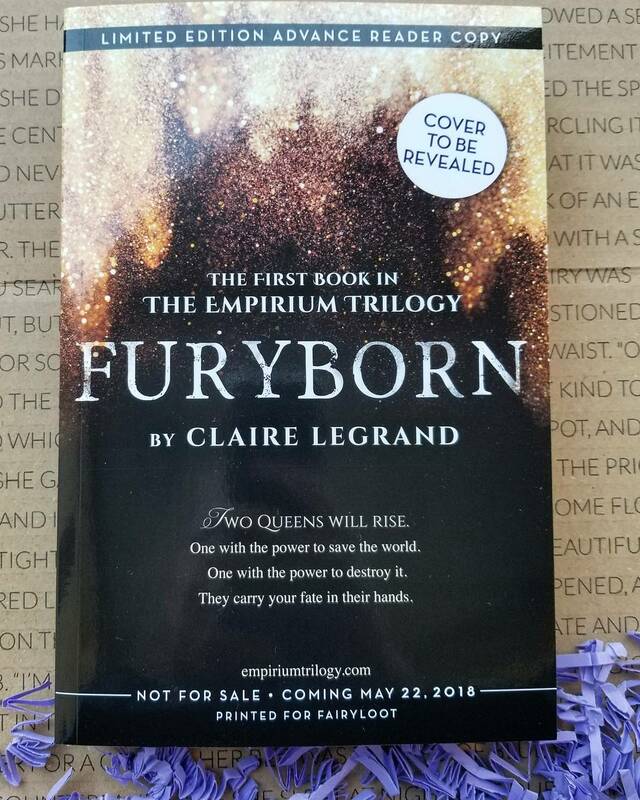 And the first book sounds awesome! I don’t usually like time travel or time warp books, otherwise the second book would be pretty cool sounding as well. I liked that you used the box as the background for your pictures! They turned out really good. 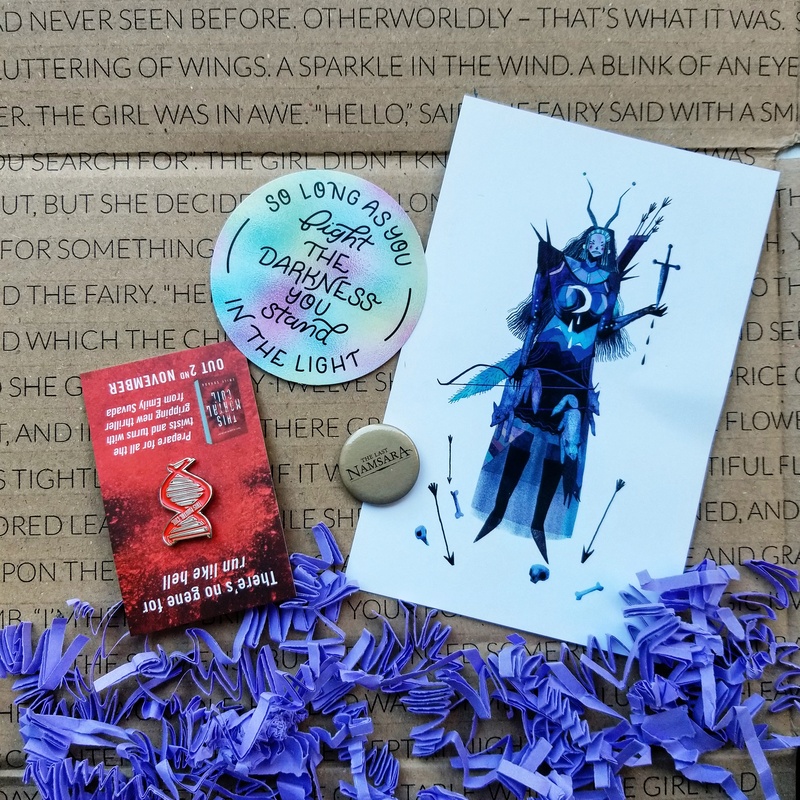 It looks so pretty, I adore fairyloot and all the products they give in their box. They’re always so pretty and make the perfect bookstagrams. I agree with perfectly, it’s genuis that you used the box as the background.